They say age is just a number and the lovebirds Priyanka Chopra and Nick Jonas are just proving that. The whirlwind romance between Priyanka Chopra and her Hollywood pop sensation beau Nick Jonas is heating up. The couple, who were spotted together for the first time in May 2018, have been pretty public about their rumoured relationship without even confirming that they are indeed dating. After several date nights and lunches in New York and LA, Nick Jonas spent quality time in India with Priyanka during their weeklong trip. From heading to Brazil together to spending 4th of July with Nick and his entire family and friends, Priyanka is taking this whirlwind romance to next level. With just a day to go for her 36th birthday, Priyanka Chopra kick-started early celebrations with her beau Nick Jonas and his brothers Joe Jonas and Kevin Jonas and Joe’s fiancé Sophie Turner, the stunning Game Of Thrones actress. 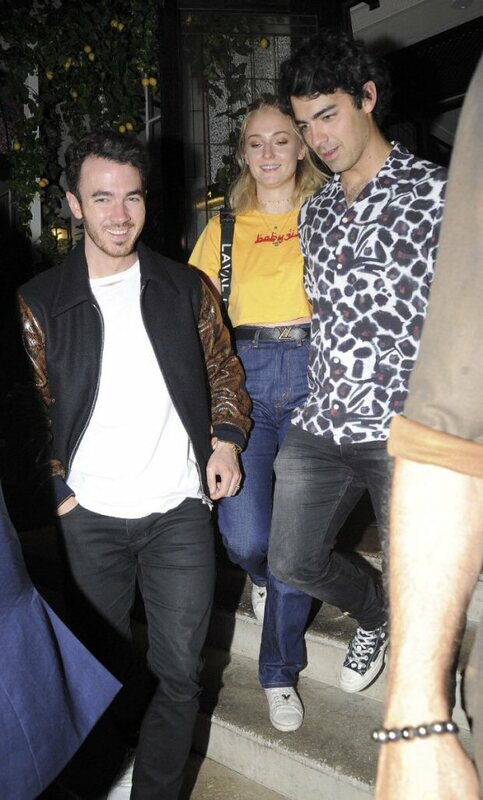 Jonas Brothers and their better halves went for at the 34 Mayfair in London. After that, they headed to Ritz Casino for after party. Priyanka Chopra looked beautiful in grey and white striped dress with while heels and handbag. Nick Jonas kept his girlfriend close as they held hands while stepping out of the restaurant. Nick looked handsome in a plaid burgundy shirt and pants. 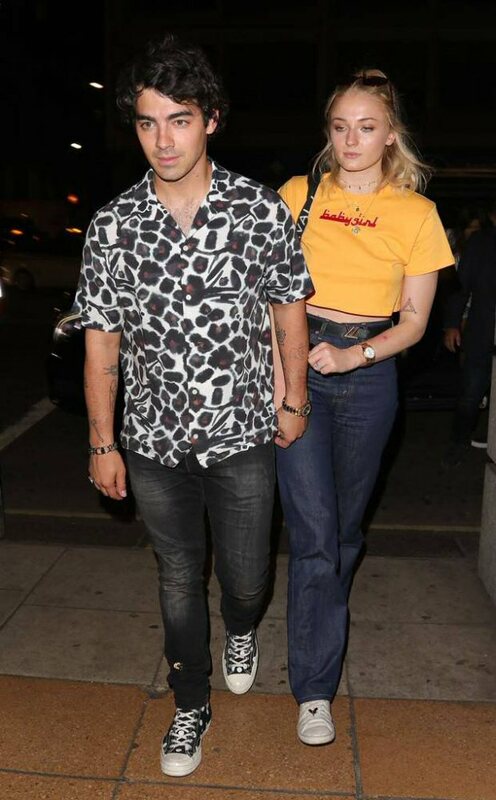 Meanwhile, Joe kept it casual in a monochrome shirt, and Sophie kept it casual too in a yellow crop top and high waist jeans. Meanwhile, on the work front, Priyanka Chopra recently wrapped up Hollywood flick Isn’t It Romantic alongside Adam Devine, Rebel Wilson and Liam Hemsworth. The film is scheduled for Valentine’s Day release next year. She also has two Hindi films- Shonali Bose’s The Sky Is Pink and Ali Abbas Zafar’s Bharat.